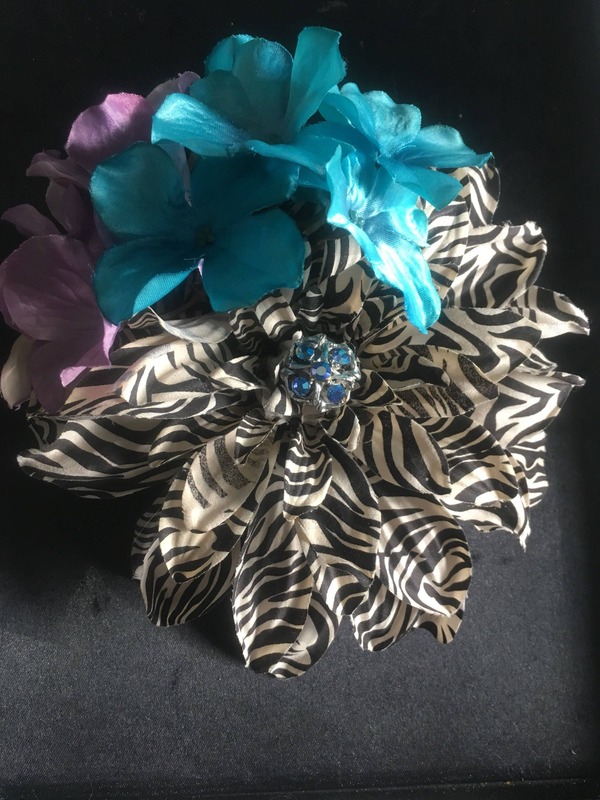 This zebra piece is adorn with a up-cycled vintage clip on earring and is not for the faint of heart. Go big or go home! I love this hair flower so cute, and exactly what I want shipping it was fast as well;) thank you very much.